PUNE: Patients suffering from kidney ailments will get dialysis facility for just Rs 400 at civic hospitals in the city. The standing committee of Pune Municipal Corporation (PMC) has approved a proposal in this regard. The PMC has planned to start a dialysis centre at Rajiv Gandhi Hospital in Yerwada. It will provide dialysis at cheaper rates to the citizens. The women and child welfare committee had approved a proposal for this in March. The proposal was tabled before the standing committee. The proposal states that along with the dialysis centre, a pathology lab will also be established at this hospital. “The needy people can not afford exorbitant rates charged by pathology tests. The civic body aims to give a helping hand to these patients. Residents in Ahmednagar road areas will benefit from this initiative,” said Yogesh Mulik, standing committee chairman of PMC, who had tabled the proposal. The civic officials said that PMC has started such centres in other parts of the city too. 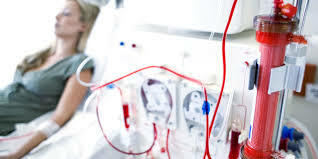 A 24x7 centre offering dialysis at low rates is operating in core city area. The cost of treatment at the Kamala Nehru hospital in Mangalwar Peth has been slashed by half. The facilities will soon be offered in other civic hospitals too. Kidney patients have to spend Rs 1,200 to Rs 1,800 at private hospitals to undergo follow-up dialysis. The problem is compounded by the fact that kidney failure is incurable. This puts a perennial load on the patient and his family and only 2-3% of kidney failure patients in the country get treated.